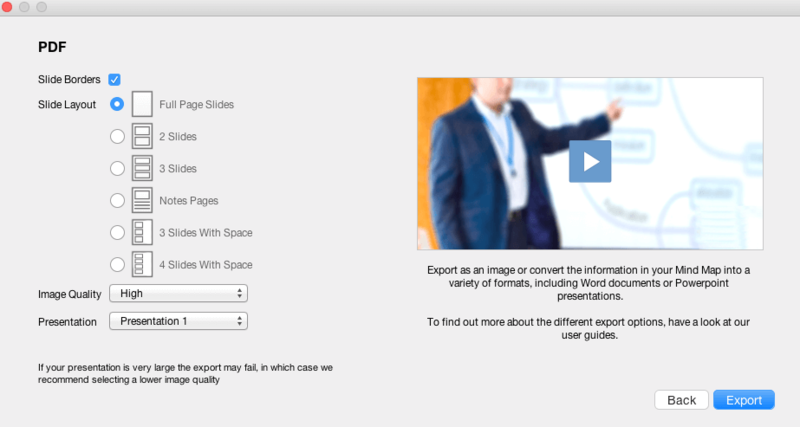 This guide will help you to export your work in Presentation View as a PDF and as presentation slides. Navigate to the main toolbar and select the Export icon. 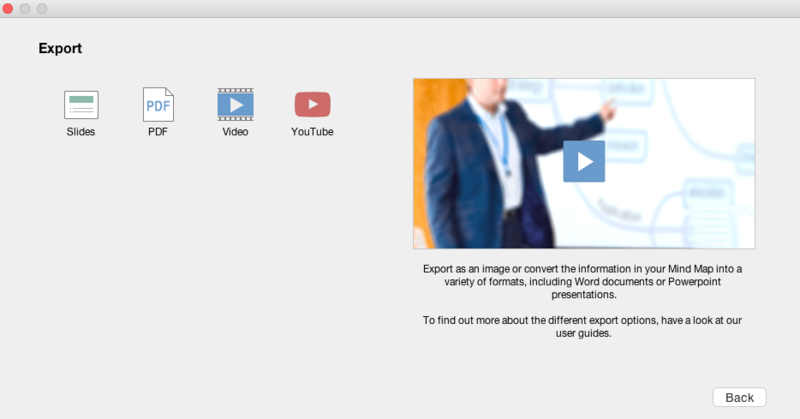 Here you will find the list of export options - slides, PDF, video and YouTube. For guides on how to export to video and YouTube, please refer back the 'Exporting Options' section for more specific guides. 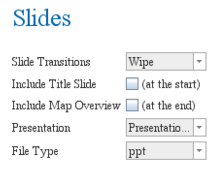 This feature lets you export your slides exactly as they have been created and will be opened in Microsoft PowerPoint. Here you can choose the style of slide transitions from the drop down menu. 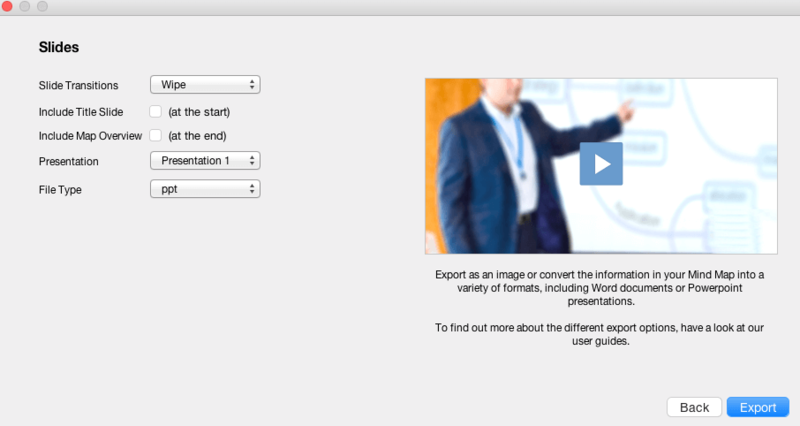 You can also choose to add a title slide at the beginning of your presentation and a Mind Map overview slide at the end. To do this, first, repeat the steps above to access the Export Options panel. Tip: It is a good idea to export as PDF if you wish to provide handouts to your audience. Slide Borders - You an choose whether you would like these turned off or on by clicking on the box. Slide Layout - This will determine how your slides will appear on an A4 sheet..
Click 'Export' and save the PowerPoint file to your computer. To do this, first repeat the steps above to access the Export Options panel. 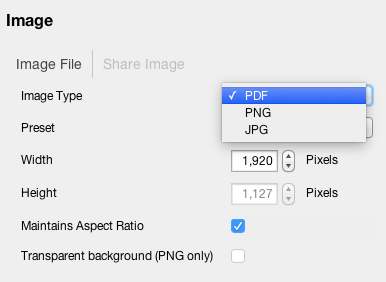 Select 'PDF', which will bring up a range of options. Click 'Export' and save your PDF to your computer. 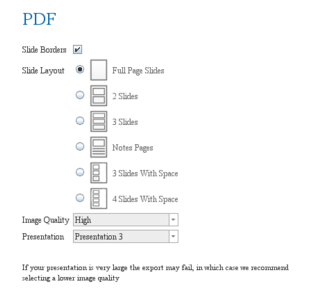 Slide Layout - This will determine how your slides will appear on an A4 sheet.